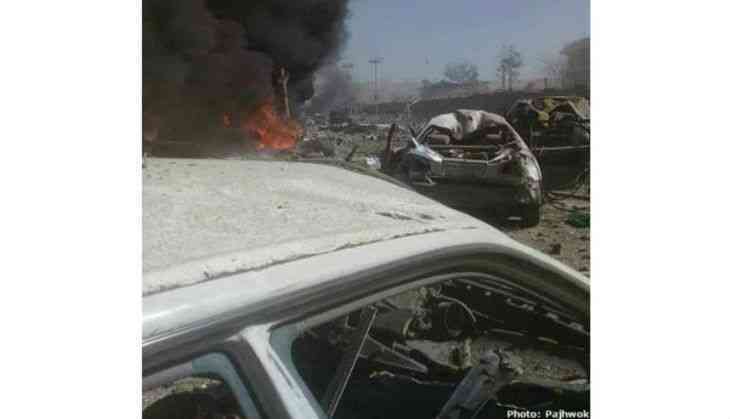 Afghanistan's Ministry of Public Health on 31 May said that at least 60 persons have been wounded in a suspected car bomb blast in the diplomatic enclave of capital Kabul, a few hundred metres from the Indian embassy. All the officials are reported to be safe while the powerful blast damaged windows and doors of the Indian embassy. External Affairs Minister Sushma Swaraj tweeted about the blast and wrote, "By God's grace, Indian Embassy staff are safe in the massive Kabul blast." The Indian Embassy is not located too far from presidential palace of Afghanistan.